When you're assigned a blog like Because I Like Chocolate for Secret Recipe Club, well, you better make something that contains chocolate. 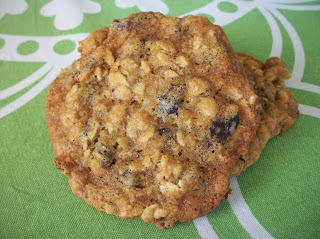 Mallory's blog had many good things to choose from, but I chose these cookies because I love all the ingredients! 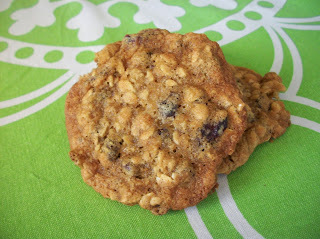 Oatmeal cookies are THE best, and when you throw in some craisins and some chocolate chips, then they're even better. This recipe also contains very little butter, so for cookies, they are relatively healthy. I love these - they turned out flat and crispy and full of flavor. Thanks, Mallory! 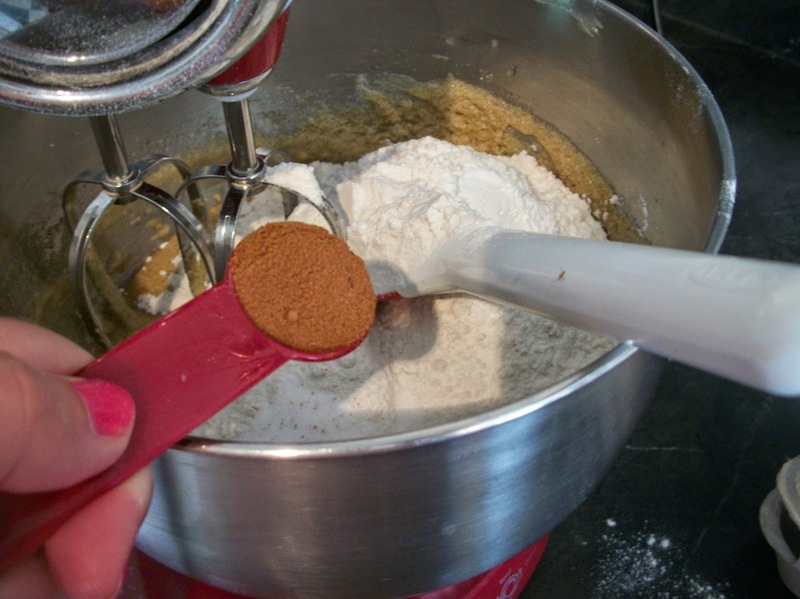 In a large mixing bowl, combine the butter, applesauce and white sugar. and mix until combined. 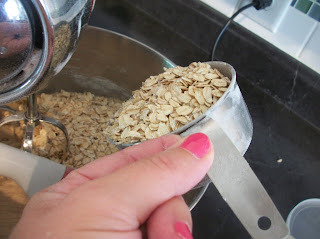 Mix in the oats. Drop by tablespoonfuls onto a lined baking sheet. Bake at 375 for 10-12 minutes. Cool on the sheet 1 minute before transferring to a wire rack to cool completely. 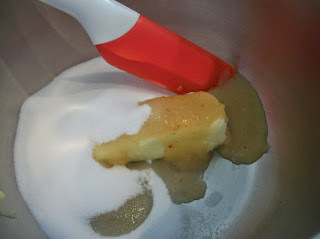 In a large mixing bowl, cream together the butter, applesauce and white sugar. 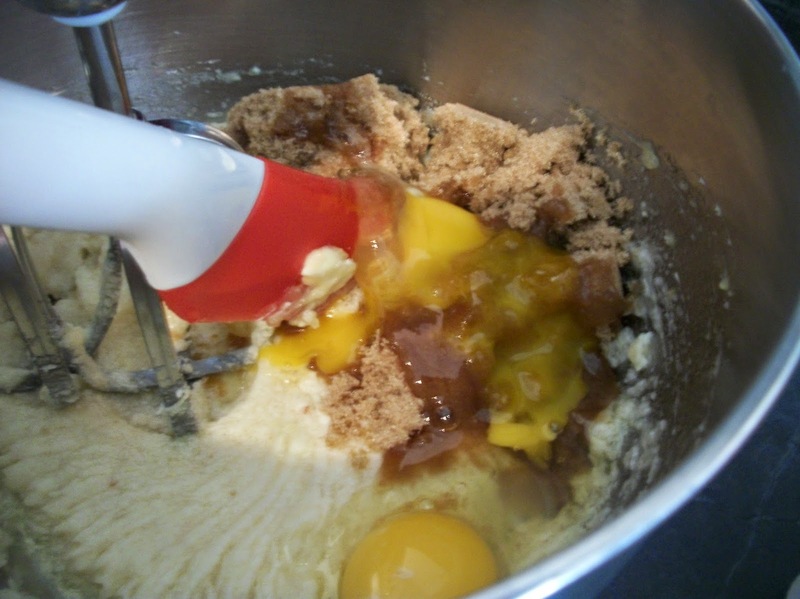 Add the brown sugar and eggs and beat until combined. Add the flour, baking powder, baking soda, salt and cinnamon and mix until combined. Mix in the oats. 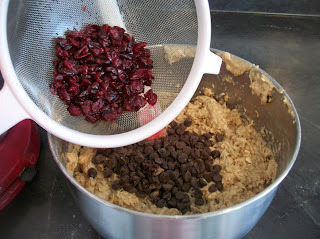 Stir in the craisins and chocolate chips. Oh yum! I love Craisins in cookies. These look wonderful. This is one of my favourite cookie recipes. 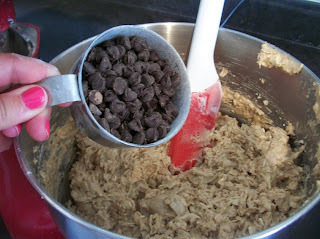 It is so simple and tastes so good but you don't have to feel guilty eating them! Thanks for checking out my blog and thank you for the find words! WOW these look incredible! I had your blog for this month and boy you have some great recipes and it was hard to choose! I will have to make these little gems. I love the idea of the craisins in the cookies. A nice little tang with the sweet! !